Polish firms manufacturing machines and products including ones for welding have made gains in the GCC market and are exploring new industry segments to bolster business. Innovative firms from Poland including the Rywal-RHC Group, Promotech and Eckert have found high-profile customers in the region, building on their successes in European and other global markets, says Lukasz Chudzik, managing director of Dubai-based RME Middle East, which is importing and distributing their products. “We have a very positive response from the oil and gas industry and power generation companies and are now targeting water desalination as another key segment in our GCC growth,” said Chudzik. “We have a very strong presence in Saudi Arabia, the UAE, Qatar, Oman and Bahrain and are looking for additional partners for the GCC area. We have direct contacts and deals with end users from other countries as well and we offer pre-and after-sales service in a cost-effective way. “The Gulf has potential and we have the ability to expand further and make our brands a daily choice for customers.” Chudzik listed some of the important customers as Zadco, Ali and Sons, Al Reyami, Saudi Aramco, Zamil Steel, the Assent Group and Dubai Drydock. RME Middle East has a large warehouse in the Jebel Ali Free Zone and also stocks with local partners. Its partners include Falcon Trading in Bahrain, Power Horizon, Al Khusheim and Al Talakeel (all in Saudi Arabia) and Gulf Cryo (Qatar). In the UAE it has multiple partners to cover all the emirates. Companies that RME Middle East represents own brands that are familiar names in the industries they serve and have a strong track record in Poland and internationally for innovation and quality. One of them, the Rywal-RHC Group, offers technology, machines and products used in processes that deal with joining and cutting machines with heat. Coming from the group are such brands as MOST, Gold, ITM and ITC, well known for consistency of product quality and customisation. Gulf customers are well acquainted with MOST which offers welding machines and consumables, abrasives, technical chemistry products, gas accessories and personal protection equipment. MOST’s welding consumables include wires, fluxes, SAW wires and electrodes, its welding equipment embraces TIG, MMA, MIG/MAG rectifiers and invertors and its welding accessories line-up has PPE, welding ovens and welding gauges. Other products are accessories for gas cutting and welding, filtroventilation devices and band saw machines. The company provides guarantees and after-guarantee services, technical support and demo shows of welding items. 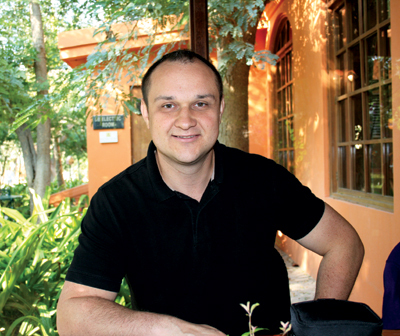 The MOST trademark enjoys national protection rights granted by the Polish patent office and the company has applied for international protection rights, says Chudzik. The products have approvals issued by many classification associations and relevant quality certificates. Production takes place in Poland or is outsourced abroad under strict quality control. 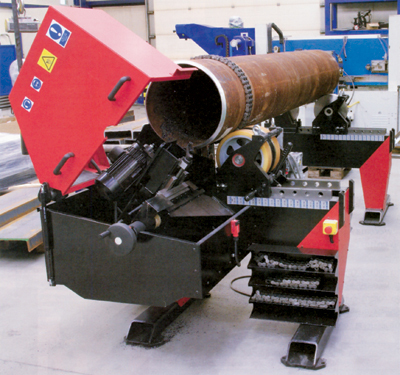 Promotech, also a well-known brand in the GCC region, offers custom-made machines and complete welding lines designed and built for specific customers’ needs. The company’s R&D remains involved in bringing new products to life and continuously improving existing ones. It has a portfolio of more than 300 products including professional power tools, beveling machines, welding automation equipment and gantry welding systems. More than 95 per cent of the production is exported worldwide, A more complete portfolio covers plate and pipe-beveling machines, magnetic and tapping drills, welding and cutting carriages, column and booms, gantry systems, pipe profile cutting machines, 5-axis portable shape cutting and welding machines and orbital welding carriages. “The creation of a wonderful team of employees is the company’s key achievement, The employees play an active part in Promotech’s success story including constant sales growth, a good reputation among customers all over the world and development of new products,” says Chudzik. “Promotech’s success and achievements have been recognised by several Polish business organisations and associations,” he adds. Also present in the GCC market is Eckert, one of the European leaders in the production of CNC cutting machines designed for cutting shapes. The Eckert company has installed nearly 900 systems for oxy-fuel and plasma cutting in Poland and other European states. Clients include Daimler Chrysler Rail Systems, Rolls-Royce, Becker Warkop, Manesmann – Siegen, H Cegielski and Siemens – Chemnitz. 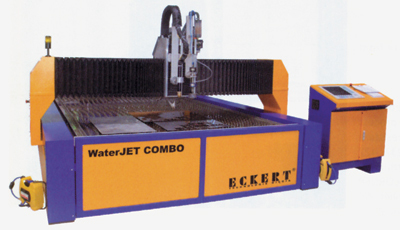 “Eckert is the only producer of CNC cutting machines that has all cutting technologies. It makes oxygen, plasma, laser and waterjet cutting machines,” said Chudzik. The product range includes oxy fuel cutting, plasma cutting, plasma oxy combo, waterjet cutting, waterjet plasma combo and fibre laser cutting. One of the new and updated products RME Middle East will be introducing to the Gulf is a rectifier for the MOST electrode welding machine Ponte 401 MMA, a reliable and conventional equipment still popular in many countries. The machine has been modernised following improvements. There is a display A/V and its functions HotStart and ArcForce are stepless regulated. Thanks to high open circuit voltage and a very stable welding arc, users can weld all types of coated electrode. The machine, designed for tough climates, could be used for electrogouging too. The electric and electronic components are well isolated and located in space protected from dust. Also to be launched in the GCC market is MOST’s new line for TIG welding machines in high amperage (400 A and 500 A, both in DC and AC/DC models). RME Middle East hopes these machines will be available in the middle of this year. Another product set for launch is Promotech’s MCM machines designed for cutting and beveling holes on flat, convex, concave surfaces, pipes, tanks and special conical-shaped tubular structures such as wind towers. “The MCM machines enable programmable and complete both-sided oxy-fuel or plasma hole cutting and beveling all in one set up and in most cases in one operation,” explained Chudzik. “Optionally the MCM machines can be equipped with a welding head attachment for either SAW or FCAW applications such as door frames in wind towers,” he added.